Hello there! With the weather finally starting to warm up I wanted to show you guys two new bathing suits I picked up for my spring break trip that I am absolutely loving! This year for spring break Kyle and I headed down to Nassau in the Bahamas for a week on the beach. We stayed at the Royal at Atlantis Paradise Island, which was absolutely amazing. I love staying at really large resorts for spring break because there is so much more to do. Of course, we’re total beach bums and we spent most of our break at the Cove Beach on the island (which was so beautiful may I add). We were in the Bahamas for a total of six days, but we wanted to spend most of our time relaxing and not working so we decided to only spend two days shooting. 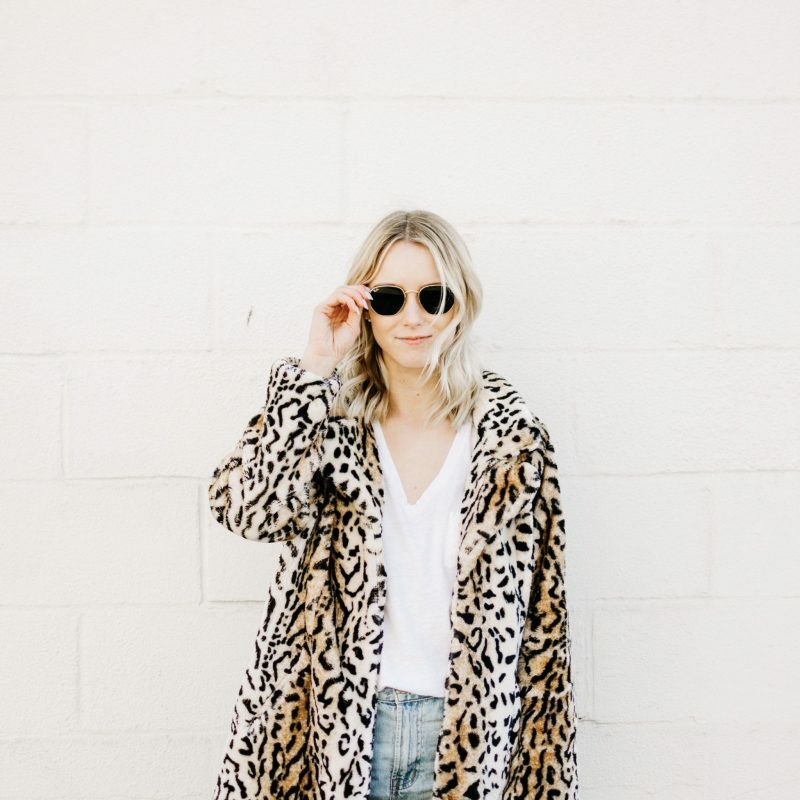 As you could tell from my last blog post, I love leopard print! I found this super cute high waisted bikini online and I snatched it up right away. I love how the leopard print is very simple with only two colors in it. In person, it is a very soft brown tone, which looks great with a tan! The top is a super cute underwire style that comes with removable straps which is great for when you’re laying out and don’t want strap lines. The second bathing is hands down my favorite bikini I have ever purchased. 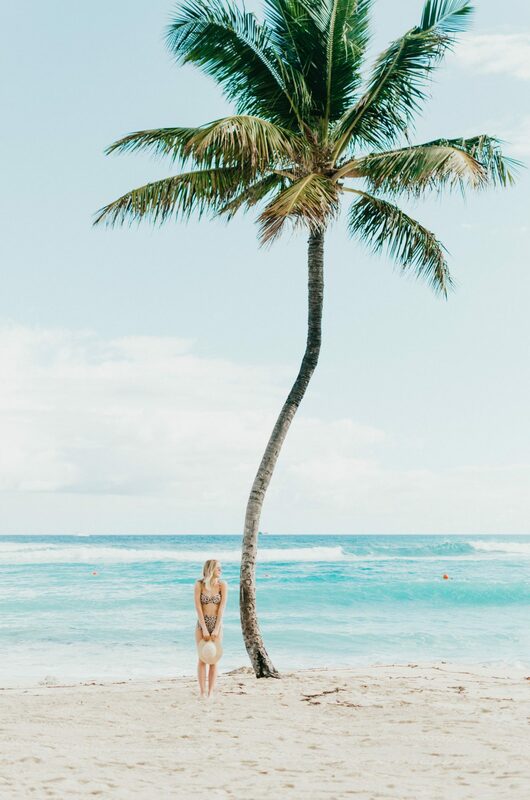 When looking for new bathing suits to get for this trip I came across this online boutique, Solid and Striped and while their suits are pretty pricey the quality is absolutely amazing. It’s a super cute deep coral and white strip and the style is great if you’re looking for a bit more coverage. I ordered a size small and I will say that it is a little tight. You definitely have to be careful of tan lines in this though, I burned pretty bad the day I wore this and I now have thick tan lines on my shoulders! This particular style comes in a ton of other colors so I’ll definitely be purchasing another one! Thanks for reading today’s post! With spring in full swing now I’m super excited to be sharing more warm weather content with you all!